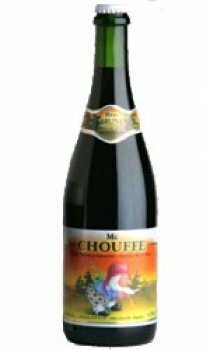 The Mc Chouffe is an unfiltered dark beer, which is re-fermented in the bottle as well as in the keg. Behind its fruity flavour a slight hint of bitterness may be found. La Chouffe's dark sister, the McChouffe rightly deserves its title of 'Scotch of the Ardennes' with its dark, full-flavoured texture is reminiscent of its Scottish cousins.